This girl is from the Ever After High from the Story about the three bears. Her name is Blondie Locks and she is the daughter of Goldilocks. She is very friendly, but she is often unpredictable. It's all because she loves order and accuracy everywhere with everything. In addition, this fuzz haired blondie is the chief editor of the Mirror Cast blog. Played: 46980. Added: 17-05-2014, 15:13. 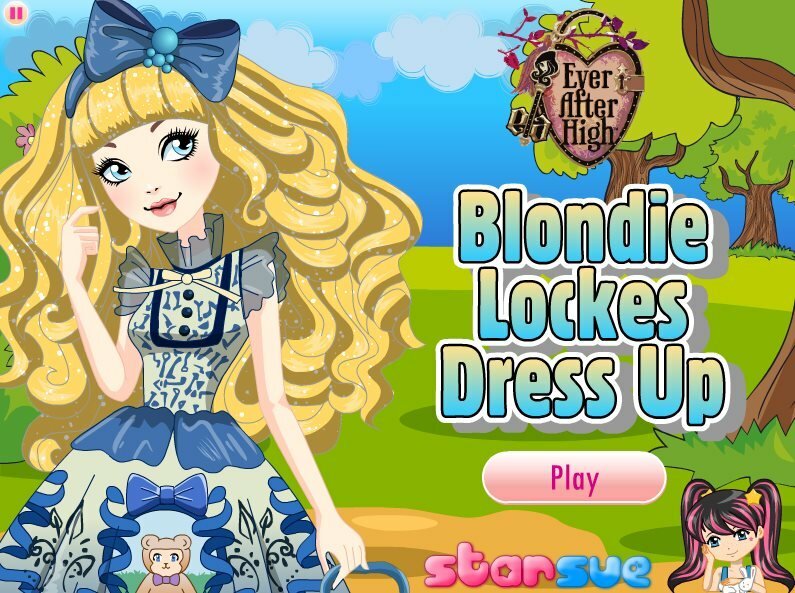 Blondie lockes dress up game. Choose best hair for girl.